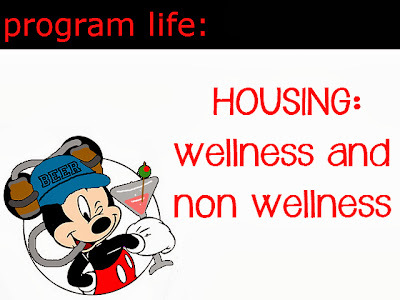 I am over 21, but planning to live in wellness because I really don't drink at home, and rarely at all outside of the home. I don't go out to bars in my free time. I REALLY dislike being around drunk people when I am not drinking, which I usually am not. I see you said that a person over 21 living with wellness roommates has to follow all of their rules, and also that you stated in the wellness section that you won't get in trouble for coming home drunk. Like I said, I don't go out drinking often, so I doubt it will be an issue. I just wanted to be clear that following the wellness rules only applies to the apartment and complex grounds, and that if I choose to go to a party or to get drinks I can being that I am 25. What if you will turn 21 during your time in the DCP? Do you have any advice for people who will turn 21?